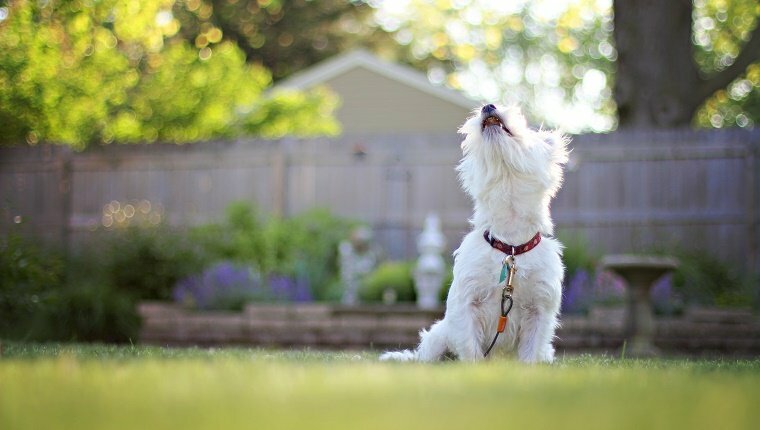 If your neighbor’s dog won’t stop barking, it can go beyond a minor annoyance. A barking dog who doesn’t belong to you can disrupt your sleep, ruin your peace of mind, or become a headache-inducing nuisance. It can even cause your dogs to misbehave as the constant barking becomes a distraction, and you might find that your own pups feel the need to bark back. So how do you get a neighbor’s dog to cut the noise? Here are a few steps you should take. First of all, it’s important that you don’t get mad at the dog, as tempting as that may be. The dog is just being a dog and doing what dogs do. Instead, go to your neighbor directly. They may not be aware that there is a problem if the dog barks while they are away at work or out of the house, or they may already know the barking is an issue, and they could be trying to work on it. Don’t make assumptions or accusations, and approach after you’ve had time to cool down. Meet your neighbor in person. Hand-written notes can be ignored and don’t lead to a dialogue. Communicating the issues you’re having with your neighbor’s dog is key. If you find that they are new dog owners and don’t have much experience, you can point them to helpful training guides like this one or recommend a local trainer. Dogs can bark if they’re being territorial and sense that you’re moving in on their turf. If you find that your neighbor’s dog barks every time you go into your yard or get close to the neighbor’s property, the dog is probably being territorial. A good solution for this kind of barking is to block the dog’s view with a fence, some kind of screen, or some privacy bushes and trees. If the dog can’t see you, they are less likely to think of you as a threat. The dog might still be able to sense your presence by hearing or smelling you, so if barking persists, it may be time to introduce yourself to the pup so they know you’re not a threat. Ask your neighbor if you can meet their dog and make friends. If the dog doesn’t see you as an intruder anymore, they may not feel the need to bark when you’re around. 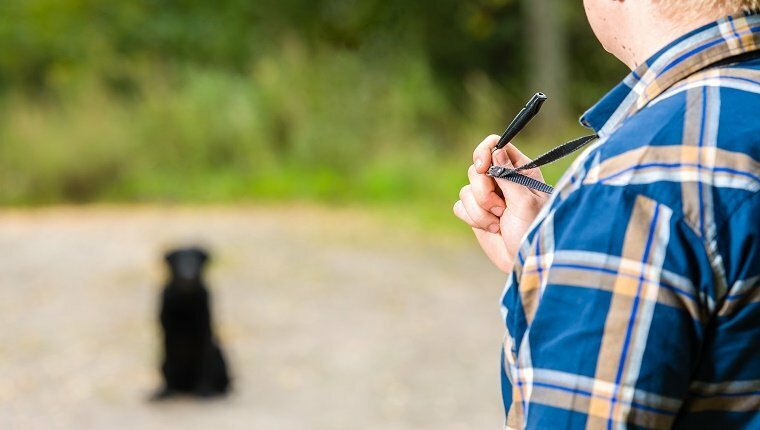 Positive reinforcement is the best way to train a dog, but if your neighbor isn’t taking training seriously, it may fall on you to correct the barking dog’s behavior. A dog whistle makes a noise that won’t disturb humans and won’t harm dogs, but the high frequency will annoy any pooch that can hear it. When the neighbor’s dog starts barking, give the whistle a blow. It may cause more barking at first, but if the pup comes to associate their barking with the irritating whistle sound, they may eventually stop barking to avoid the noise. There are also high-frequency noise emitters that you can place outside. These will respond to barking and emit a noise similar to the dog whistle. Hopefully this will correct the behavior. 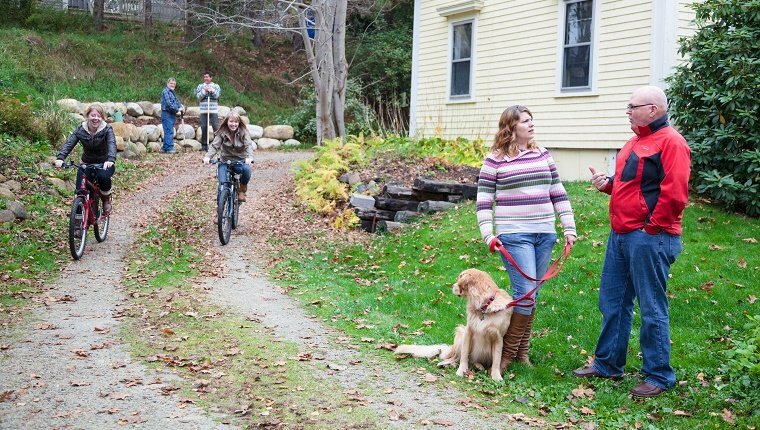 These solutions might work, but just be aware that other dogs who live nearby may also be bothered by the noise, even if they aren’t the ones doing the barking. If all else fails and your neighbor is making no attempt to curb the barking, it may be time to file a noise complaint. Talk to your other neighbors and see if they are as bothered by the barking as you are. Urge them to file a similar complaint. Look up your local laws, as different areas have different laws that govern dog barking and noise complaints. Animal Control authorities will usually be responsible for enforcing noise complaints about barking dogs. Your neighbor will most likely get a formal warning, but if the noise continues, they might be issued a citation. Calling the police isn’t always the best move, as officers often have bigger problems to worry about than barking dogs. However, if you suspect abuse or neglect are causing the barking, you should absolutely get authorities involved. Hopefully warnings and citations will motivate your neighbor to deal with the problem. If not, it may be a good time to invest in some ear plugs or noise-cancelling headphones. 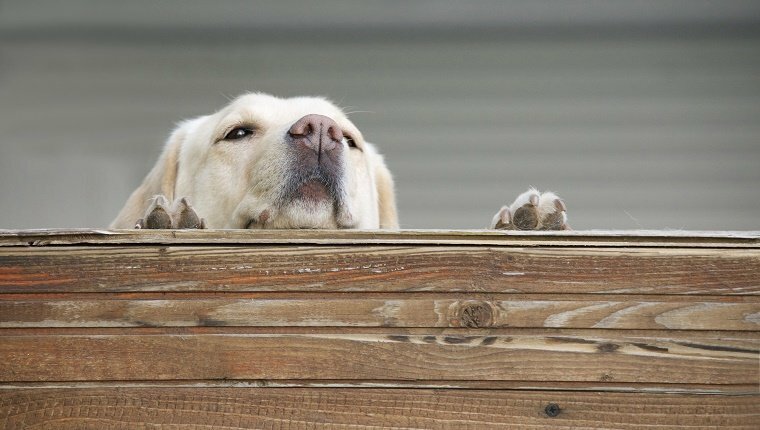 What would you suggest to someone who wants to get a neighbor’s dog to stop barking? Let us know in the comments below!